After a successful crowdfunding campaign which saw 13,621 people preorder 21,000 dolls, “average” size fashion dolls, Nickolay Lamm got to work. 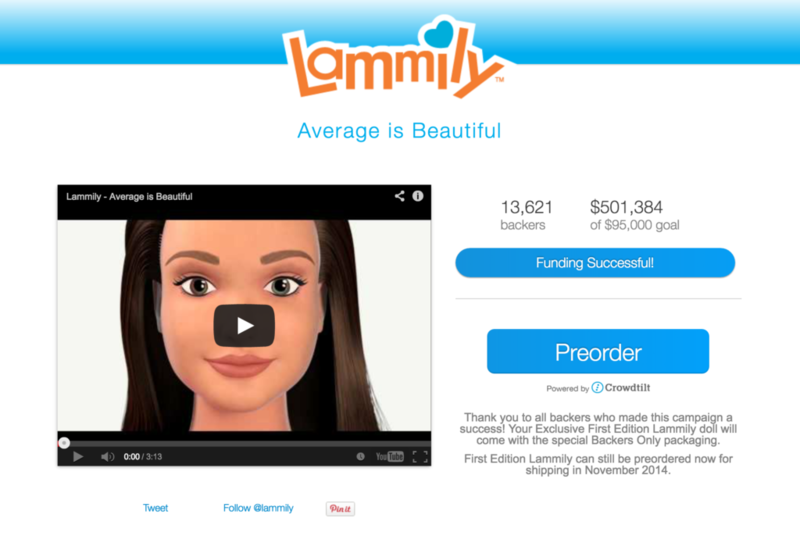 These backers preordered the Lammily doll, billed as the first doll with realistic body proportions. 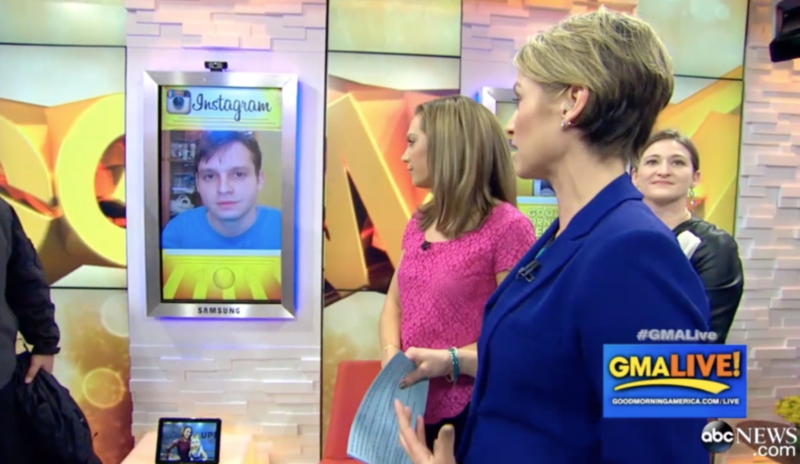 His crowdfunding got quite the reception, appearing on Time, Good Morning America, USA Today, to name a few. His fears were based on a meeting Nickolay had with one of the largest toy companies in the world shortly after his successful crowdfunding. They passed on Lammily because they did not think that kids would like “realistic” fashion dolls. He also received emails from toy makers saying that a doll with realistic proportions would not work because its clothes would look too bulky, like a “football player”, according to one email. Nickolay consulted with his mom (now chief art designer at Lammily) and determined that the doll’s realistic proportions were just a starting point. The doll also had to be relatable, down to earth, something which they determined was missing in the Barbie aisle. They would make the doll relatable by focusing on the small things: realistic hands, small detailed toes, minimal makeup, realistic soft hair. Because Nickolay only had 6 months, there was no time for a focus group. He just had to trust his gut that this would appeal to kids. The fateful day came when Nickolay showed the first production ready Lammily doll to a group of second graders at St. Edmunds Academy, a trip which his aunt, Inna Lamm, organized. Because this was the first time that kids would be reacting to the doll, he hired a video crew from Ohio to record the kids responses. “There is nobody more honest than kids,” said Nickolay. “If they don’t like something, they will tell you.” Because the dolls were already being produced, if they didn’t like the Lammily doll, there was no going back. He’d have to ship out 21,000 dolls which kids don’t approve of. One by one the kids were asked to come to a table where head of school, Susan Miller, asked them about the Lammily doll. He spent the next month editing the hour’s worth of footage from the kids reacting to the doll. He released the video on November 19, 2014 and, since then, the video has been viewed over 3.8 million times and appeared on CNN, ABC, Time, and more. Nickolay had proven to the world that realistically proportioned dolls could not only exist, but that they could be loved by kids as well. Since the release of this video, Mattel has released curvy, petite, and tall Barbie, a move with Time and Wharton suggest was influenced by Nickolay’s Lammily doll. If you’d like to get the Lammily doll seen in the video, you can get it at this link. This entry was posted in Lammily Development. Bookmark the permalink.